Can you count to 10? 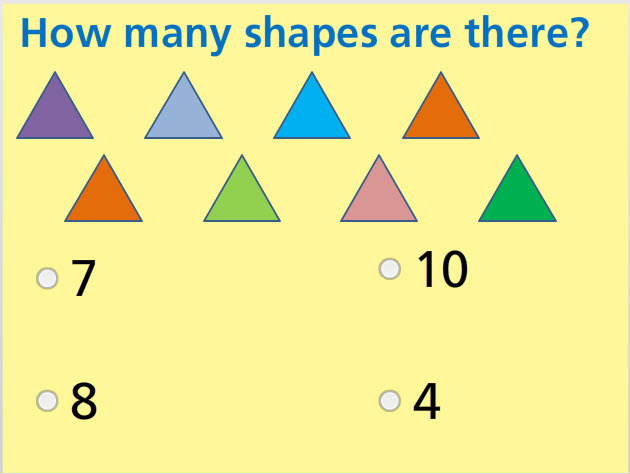 Try this Count to 10 Math Test to check your skill in counting to 10. This test has multiple choice questions and it also has some drag-and-drop questions. The activities are colorful and fun. See how well you perform. Return from this Count to 10 Math Test to the Elementary Math Tests , Kindergarten Math Tests webpage, or to Math Tests.